Located in Malaga Province. Sublet.com Listing ID 4164531. For more information and pictures visit https:// ... /rent.asp and enter listing ID 4164531. Contact Sublet.com at ... if you have questions. Country House in coin, with water and light included in the price, rented furnished, has two bedrooms, one bathroom, open kitchen American, for long season, you need car to go to the center of coin that is 10 min, Marbella 25 min, Benalmadena 35 min , pets allowed, independent pool, Pinden contract, payroll, references, abstain who does not have these requirements, agency management not included, available now, only people really interested, price not negotiable. Apartment for rent in Bahia de Marbella, Marbella. Located in Marbella. Oi Realtor presents exclusively, apartment for rent, with balcony, pool and terrace. Located in a building with lift in Bahia de Marbella. Details Apartment for sale very spacious and bright, with pool, garage and a surface of 210m2. It has a living room with terrace, independent and spacious kitchen. Additionally two (2) spacious rooms and three (3) bathrooms. Furnished, equipped, with south views, balcony and covered terrace and communal pool. Ideal for long season In Bahia de Marbella Located a few meters from the beach and close to the N-340 National Road. Hospitals, clubs and restaurants around you. Oi Realtor is the first luxury real estate consultant. Our mission is to advise, provide service, innovate and adapt, with an international vocation for our market. Sell your house We offer a complete service to get your house sold in the shortest possible time and always at the best price. A commitment that we acquire with each one of our clients. Real estate investment Oi realtor We have a long experience selecting the best properties for the most demanding clients. And thus ensure the best real estate investments and maximum profitability in each operation. We buy your home We provide the answer you need in the immediate sale of your home. Our professional team presents you a fast offer, at the best price and with a real commitment where we buy your house. We buy buildings We treasure a long experience where we buy buildings, perform renovations and sell buildings in the main locations. Do not hesitate to consult our team and you will get the best result. House appraisal Find out how much your house is worth and decide if it is convenient for you to rent it or sell it based on the market price. In Oi Realtor we carry out home appraisal so that the best financial decision is made and maximum profitability is obtained. Golden Visa In Oi Realtor We have specialized professionals in Golden Visa and dedicated to guide all foreign investors interested in obtaining a residence permit for the purchase of luxury homes. Relocation and relocation In Oi Realtor We have the best rehousing and relocation service, both for employees and executives. Integral assistance in the relocation for national and international companies. Commercial property for rent in Vera. 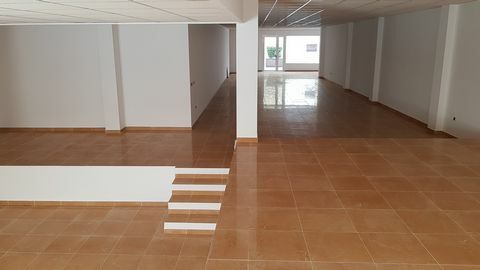 COMMERCIAL PROPERTY Calle Mayor 17, Vera (Almeria): Commercial premises for rent in the center of Vera, opposite the town hall and close to shops, banks, notaries, public transport, schools and access roads. The commercial premises are on the ground floor. For more information or viewing: contact us. GENERAL Number of floors: 1 Constructed size: 187,92 sqm Floor area: 174,04 sqm Building in good condition. The premises are delivered empty to the tenant. Two sides. The back is located above street level. The front is opposite the town hall at street level. The commercial space is immediately available for rent. INTERIOR This commercial space is brand new, to be rented for the first time It is an open-space room with a split level floor in the back, half raised and half lowered. The room has all the necessary pre-installations: water, electricity, drainage and air conditioning. UTILIZATIONS This commercial space is suitable as an office or retail shop. Food and drink related activities are not allowed. It is a spacious room which makes it also suitable for a co-working environment. PARKING The public parking in the immediate vicinity is very good. You can park in the Calle del Mar. FINANCIALS Rental price: € 24,000 per year excluding VAT. Flexible payment facilities for the period of time necessary for the tenant to furnish the room and up to the date when the activity starts Lease term: three years and a three-year renewal period. Rental payment: € 2,000 per month plus VAT. Security: bank guarantee or a deposit equivalent to 1 year’s rent excluding VAT. Term of notice: twelve (12) months prior to the expiration date, mutually cancellable. Magnificent ocean front penthouse with 2 bedrooms and 2 bathrooms located in the area of the Reserva de Marbella, just 10 driving from Marbella and 20 from Fuengirola, surrounded by all kinds of services. The property is rented unfurnished. Fully fitted and equipped kitchen Parking and storage included in the price Work contract needed 1 month rent in advance 2 months deposit 1 month agency commission. Apartment for sale in Marbella, Málaga. Located in Marbella. Oí Realtor offers the exclusive opportunity to purchase a 150mt2 floor and 30mt2 terrace in Marbella, Málaga. The details of the house The apartment is located in a building with elevator, it consists of hall, living room, kitchen fully equipped and independent. The night area has two (02) spacious bedrooms with fitted wardrobes, the main one with dressing room, built-in safety deposit box and bathroom with Jacuzzi, another full bathroom and 30 m2 terrace partly covered, with access through sliding doors with windows through the living room and the main room. Among its qualities, the community offers (03) swimming pools, two (02) in cascade, in addition to a children's pool, 15,000 m2 of gardens with play and sports areas, and integral services for maintenance, security, gardening, irrigation , etc. It has hot and cold air conditioning and underfloor heating, with independent temperature control in each hole, marble floors, double glazing, awnings and blinds with electric drive with remote control, LED lighting, color video intercom connected with goal and with the entrance of the Urbanization, alarm system with motion sensors. It also includes as an option a participation in the Magna Marbella golf course. MAGNA MARBELLA The private development Magna Marbella, located in the highest noble area of Nueva Andalucia, two minutes from PUERTO BANÚS, is surrounded by golf courses, tropical gardens, fountains, swimming pools and 24-hour security control. The valley hosts the golf courses of Las Brisas Golf, Aloha Golf, Los Naranjos Golf, La Quinta Golf, Magna Marbella Golf and La Dama de Noche Golf, the international English school "Aloha College" and shopping centers (Plaza Center, El Corte English Costa Marbella) with a great variety of cafés, restaurants and high level shops in Puerto Banus, all accessible through excellent road infrastructure. Also a public heliport is in the immediate vicinity. In the Urbanization there are establishments and commercial premises, including the "Magna Marbella Clinic" clinic, of high standing, in addition to the prestigious Magna Café restaurant in the clubhouse of the Magna Marbella golf course attached to the Urbanization, with various sports facilities. The Urbanization is located 1.5 km away. from the glamorous Puerto Banús, and next to the golden mile of Marbella and its sandy beaches. It is a great opportunity to start living and also as an investment, Oí Realtor offers advice and helps you in the procedures for obtaining the mortgage. House for sale in Marbella, Málaga. Located in Marbella. 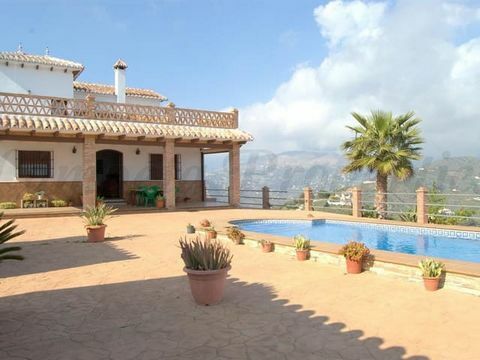 Oí Realtor offers the exclusive opportunity to purchase a 305mt2 house in Marbella, Málaga. Which has large outdoor spaces. The details of the house The house consists of three (03) floors distributed as follows: The ground floor, has a large hall, a (01) living room with fireplace, a (01) toilet, kitchen, porch and patio with barbecue area. The first floor, three (03) double bedrooms one of them is a suite, with dressing room and balcony and two bathrooms. The second floor has a laundry area, one (1) loft room and terrace with sea and mountain views. Among its qualities has all kinds of amenities, air conditioning hot and cold, safe, all the blinds are motorized (electric), as well as the glazing is double glazing, and seven wardrobes with a lot of capacity. Old Town The old town of Marbella encompasses the old walled enclosure and the two historical districts of the city: the Barrio Alto, which extends to the north, and the Barrio Nuevo, located to the east.Finally The house is in the heart of the old town 300 meters from Plaza Los Naranjos and its vicinity Pharmacies, Market, Parking, bus station and 5 minutes walking to the beach. Oi Realtor is the first luxury real estate consultant. Our mission is to advise, provide service, innovate and adapt, with an international vocation for our market. Sell your house We offer a complete service to get your house sold in the shortest possible time and always at the best price. A commitment that we acquire with each one of our clients. Real estate investment Oi realtor We have a long experience selecting the best properties for the most demanding clients. And thus ensure the best real estate investments and maximum profitability in each operation. We buy your home We provide the answer you need in the immediate sale of your home. Our professional team presents you a fast offer, at the best price and with a real commitment where we buy your house. We buy buildings We treasure a long experience where we buy buildings, perform renovations and sell buildings in the main locations. Do not hesitate to consult our team and you will get the best result. House appraisal Find out how much your house is worth and decide if it is convenient for you to rent it or sell it based on the market price. In Oi Realtor we carry out home appraisal so that the best financial decision is made and maximum profitability is obtained. Golden Visa In Oi Realtor We have specialized professionals in Golden Visa and dedicated to guide all foreign investors interested in obtaining a residence permit for the purchase of luxury homes. Relocation and relocation In Oi Realtor We have the best rehousing and relocation service, both for employees and executives. Integral assistance in the relocation for national and international companies. Located in Malaga Province. Sublet.com Listing ID 4136872. For more information and pictures visit https:// ... /rent.asp and enter listing ID 4136872. Contact Sublet.com at ... if you have questions. BEACH FRONT APARTMENT in El Morche, Costa del Sol, Malaga AVAILABLE October 1st, 2019 FOR LONG TERM RENTAL. Right on the beach. Beautiful sea and mountain views! Renovated two bedroom apartment on the beach front. Front balcony facing the Mediterranean Sea and an additional side balcony with see views as well. This property has 2 bedrooms, 1 bathroom, a living-dining room and a fully equipped kitchen. Both the living-dining room and the kitchen have direct access to the front balcony. Located in El Morche, about 40 minutes east of Malaga. Communal swimming pool. This furnished property comes within easy walking distance to the towns popular square and to the large salt waterlake famous for it flamingos. It is situated village of Fuente de Piedra.. It has been reformed and contains 2 double bedrooms, a large lounge/diner, 1 new bathroom, a furnished kitchen, back patio and plenty of storage space. The property also has heating and internet available This town has good access by road and rail to Malaga and the large town of Antequera which has a large shopping complex, golf course, hospital and historical centre is around 10 minutes away. Fuente de Piedra has a supermarket, medical centre, bars, banks, restaurants, a town hall, municipal pool, various shops and street markets Plot: 150m2 Build: 100m2: 400euros a month The neighbouring property photos from 15 onwards is priced at 450euros a month is on two floors and has a balcony/terrace with views, 4 bedrooms, kitchen and bathroom. Spacious 4 bedroom townhouse in a great location on The Golden Mile. Solana de Nagüeles is a charming urbanisation, consisting only of townhouses. Walking distance to Puente Romano, and a fully gated community is some of the advantages of this urbanisation. Distributed over 4 levels, space is plentiful, and there is also several terraces. The house has 4 bedrooms, 1 master bedroom on the top floor, 2 bedrooms on the 1st floor and 1 bedroom at the lower level. The lower level also has separate entrance from the street level. The house is fully furnished with high quality furniture, and ready to live in. The urbanisation is very quiet, offers plenty of parking and a communal pool. There is also a private parking garage for one car. Located in Sevilla Province. Sublet.com Listing ID 4112315. For more information and pictures visit https:// ... /rent.asp and enter listing ID 4112315. Contact Sublet.com at ... if you have questions. Villa in Sotogrande Alto , Cadiz. Property Description A charming villa situated on a large plot offering fabuous views to the sea and the mountains on the prestigious resort of Sotogrande. This villa has 5 bedrooms, 3 bathrooms plus guest cloakroom and is nicely furnished and comfortable, offering spacious accommodation and fabulous outdoor space. There is a lounge split level lounge/dining area with open fireplace. Patio doors from the lounge area lead out to a charming terrace making a great venue for relaxing in some shade or dining alfresco. fully-fitted kitchen with center isle. There are five bedrooms, three bathrooms plus a guest cloakroom. The villa benefits from a good sized lawned and landscaped garden with plenty of space to soak up the sun and an inviting private swimming pool. The villa backs onto the road to the wonderful historical village of Castellar de la Frontera, which boasts wonderful hilltop views from its ancient castle and is well worth a visit. However, within Sotogrande there are restaurants and facilities in abundance making it a fantastic base for your holiday to the Costa del Sol. Very private villa, southwest facing. It has swimming pool, terraces, garden, barbecue area, etc ... MAIN FLOOR: Two bedrooms with exit to lateral terrace, two bathrooms, independent equipped kitchen, living-dining room with fireplace, glazed-in, winter-living-dining room. SUPERIOR FLOOR: Three bedrooms, two bathrooms and terrace/solarium. EXTERIORS: Nice garden with pine trees, lawn, swimming pool, stunning views, outdoor dining areas, barbecue area, toilet, terraces, etc.. INCLUDED: Basic maintenance of gardens and pool included in the price. CONDITIONS: Preferably family without small children, no pets. Two months deposit. Agents' fees included. South-facing house on two floors. CONDITIONS: Two months' deposit. Agent's fees included. Southeast-facing penthouse flat, located on the seventh floor of one of the best located buildings in La Herradura, close to the beach and the centre. INTERIOR: Corridor with three double bedrooms and two bathrooms, one of them en-suite; living/dining room with large open kitchen; large balcony-terrace with awning and fantastic sea views. HABITABILITY: Very well presented, no neighbours upstairs. BONUS: Private garage included. CONDITIONS: One month'S deposit. Preferably without children. Pets are not accepted. Agent's fees included.